We have some EPIC news (pun intended). 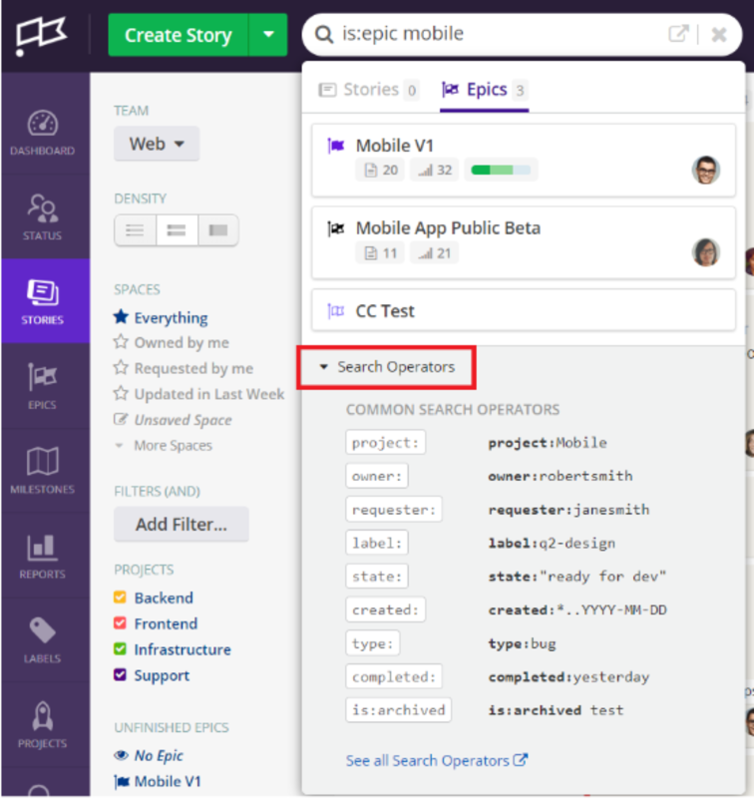 Now you can search across Epics and Comments in addition to Stories in Navigational Search, keep your flow going with the enhanced Search UI, and use new operators to refine search results. Read on and see how the latest Search enhancements will give you more visibility into your work with less effort. When you search for a term you’ll notice results separated into two separate tabs, Stories and Epics. The organized view makes it easy to pick up the work you’re looking for. To keep you working fast, if you've searched for something that only has Story results or only Epic results, your search will default automatically to that column. See this example when searching for Bugs. Another update to the UI that'll keep you moving quickly is persistent Search results. We've all been in a situation where you're up against a deadline and you get click-happy when digging for work. You're moving too fast and end up selecting the wrong Story and have to re-run your search. 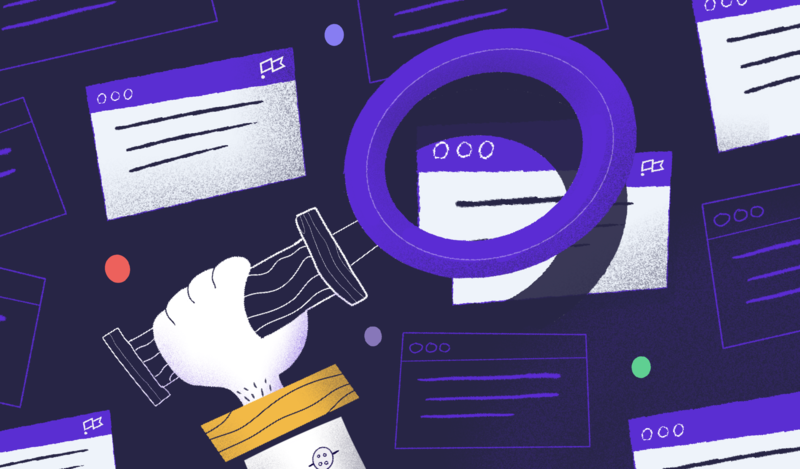 We’ve also included some new Search Operators to refine results and easily hone in on the work you’re most interested in across Stories and Epics. A list of Clubhouse search operators can be found here. These operators and endpoints are supported on the Navigational Search only, with search page support coming in the next update. Reminder - by default, all queries will use AND when combining multiple operators. Quick Tip: If you ever need a reminder of common Search Operators, click on the Search Operators carrot to reveal the list. More information about the Navigational Search updates can be found here. We hope these new Search enhancements save you time and make finding what matters the most to you in Clubhouse faster and easier.